I intentionally avoid the news. Too much bad nearly breaks me – I’m one of those highly-sensitive types. But the news still finds me. With every school shooting or police officer death or racial-tension-fueled hate crime, my heart breaks, and I feel so small. So small in a big, big world full of ugly. Too small to be of any account. Yet in the next heartbeat some magazine, some television ad, some radio show or spokesperson is encouraging me to be more, do more, be big and bold and make my presence known to the world. But what if I should be less, instead? Our culture is all about increase. Even the new “less is more” is really about more. We want everything bigger, better, shinier. Get more, be more, have more. More! We’re like greedy children clamoring for another new toy that will end up at the back of the closet when the glamor wears off after two days of fun. And yet we’re never happy. We get a shot of more and life sparkles for a few moments and then it fades, leaving us empty and less than before. We recognize the problem: walk into a bookstore or hop online and in less than a minute you’ll find a book, magazine, blog, podcast or social media something-or-other offering you the latest-and-best way to simplify your life, be happy, find joy and fill the empty. So we war against the culture – and yet we are the culture. It’s the human condition. 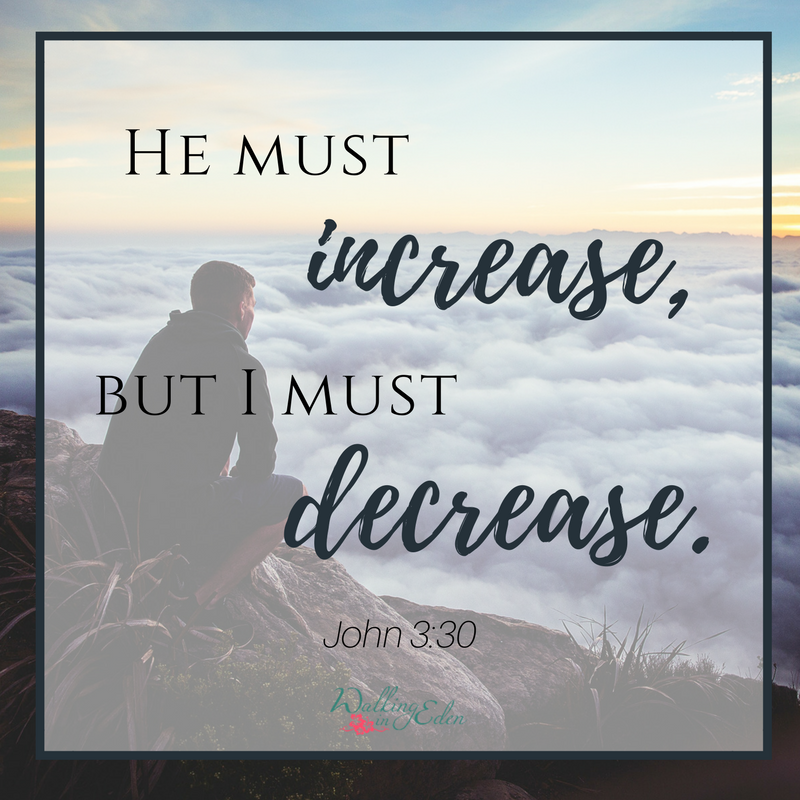 I read a passage in John 3 recently that really stopped me in my tracks and made me think about our mantra of more, and what it looks like to intentionally decrease, instead. Shortly before Jesus began his public ministry, God sent another man to perform a specific ministry: John the Baptist, sent to “prepare the way” for the Messiah. John lived a life that was pretty unconventional, then or now. He lived in the wilderness and wore clothes of camel hair. He ate honey and locusts. (Um, what??) I don’t think linen robes, fancy feasts and a nice house in town were even on his radar. I also don’t think any of this bothered John in the least. We don’t have insights into his personal feelings of course, but it seems to me that John was focused on one thing only: proclaiming the coming Messiah. What a job! Tell everyone they’re messed up and need to repent, because the Savior is coming and anyone who doesn’t will be “chaff” to be burned “with unquenchable fire” (Luke 3:17). Yikes. He made a lot of people pretty mad. We don’t much like to hear the truth, do we? Then the king gets mad because John calls him out for stealing his brother’s wife, so it’s prison for John. The wife’s demands John’s head (literally), and the king caves to her wishes. John gave his life for his mission. This probably isn’t how John imagined the end of his ministry. But even if he had I doubt John would have changed a thing. He lived unconventionally so he could keep his focus where it mattered: on Jesus. His intent was always to bow out, anyway. “He must increase, but I must decrease.” (John 3:30). John’s mission was to prepare the way for One greater than himself to come. When Messiah came, John’s mission was complete. He may not have planned to “decrease” so dramatically, but I don’t think it mattered. He was completely abandoned to the call of God on his life. It begs the question of us all: are we so abandoned to obedience to the Father – to the call on our lives, the command to proclaim the Messiah – that we will decrease no matter the cost? What might our wilderness and locusts be? It sheds a whole new light on what it really means to decrease in a world that demands increase on every front. We might not be called to lay down our lives, but ultimately we are. Can we live unconventionally, however that may look for us, to keep our focus on Jesus? Can we bow out for the glory of our King? It’s uncomfortable thinking. But then, just about everything about Jesus is uncomfortable to our human way of thinking. 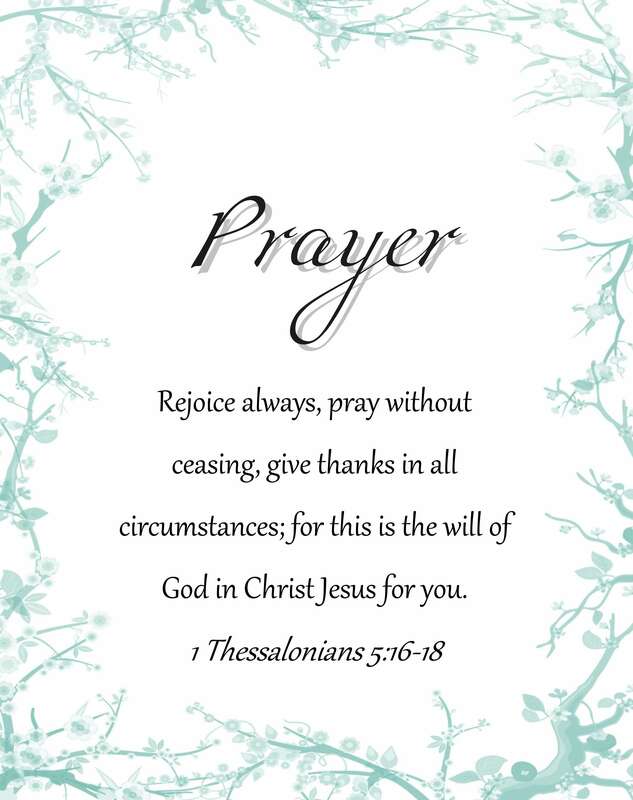 Let’s ask God for the grace to be less, and the strength to make Him more.